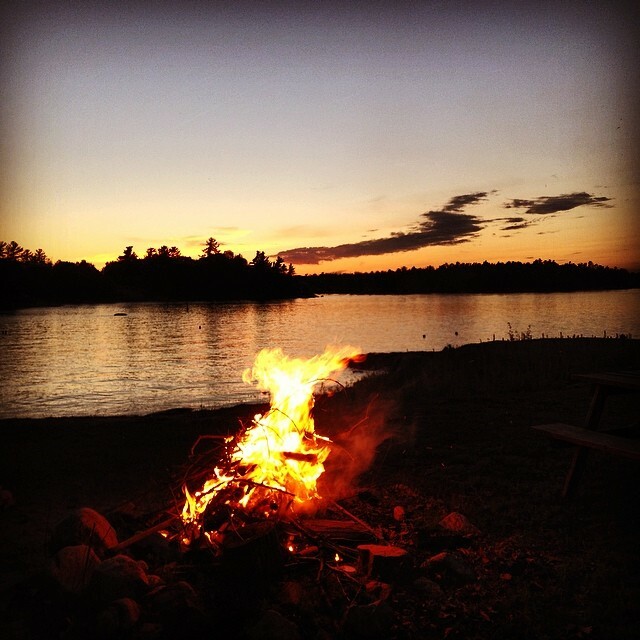 Say farewell to the season while being surrounded by the Georgian Bay landscape and gorgeous fall colours, relax in the peacefulness of the fall air. 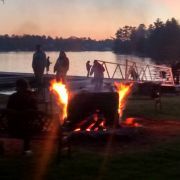 Take advantage of the activities available on the resort while on the land or water. 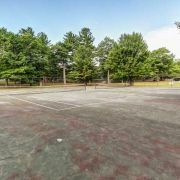 Our canoes, kayaks, mountain bikes, tennis courts, shuffleboard, frisbee golf, basketball court, and playground are all available for your use during your stay with us. 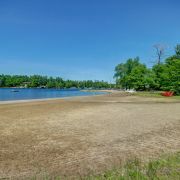 If you're just looking to relax and enjoy the colours of the fall, two of our beaches are available all season for your use. 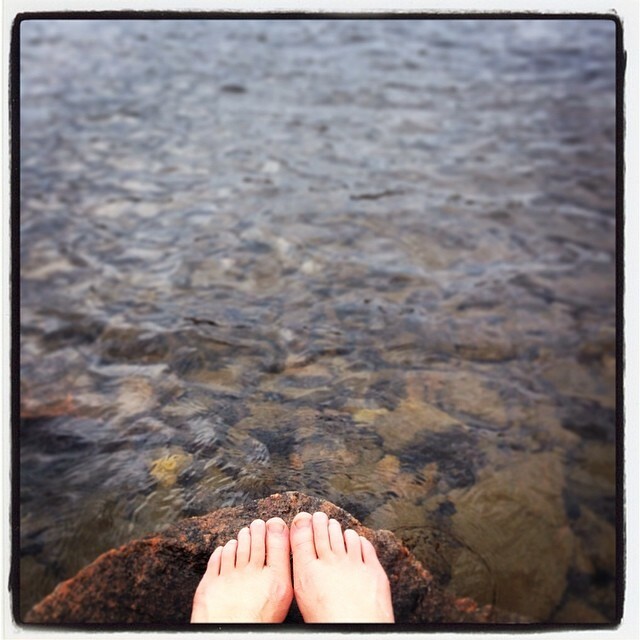 Pull up a beach chair and read while taking in the fall colours and waterfront views of Geogian Bay, Muskoka. 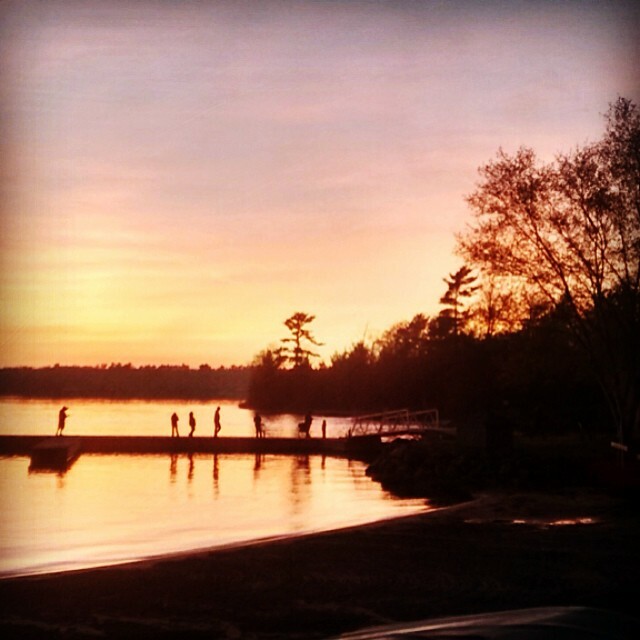 Go out for a peaceful paddle and watch the breaktaking sunsets from the West side of the property. 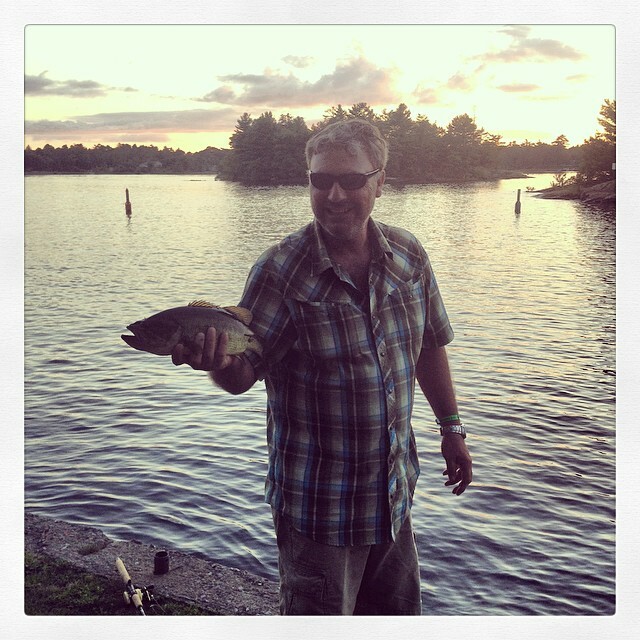 Cast your fishing rod off of our docks to try and catch some perch, bass, and pike. 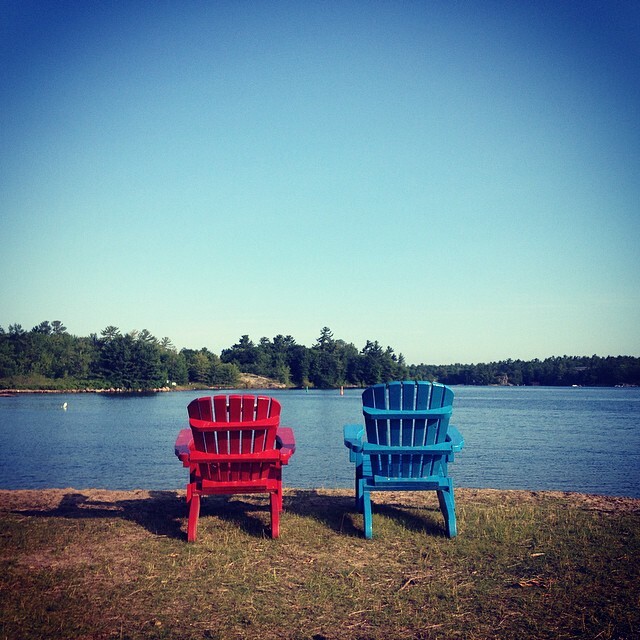 Hang out in a Muskoka chair at the inner channel while watching the boats go by. 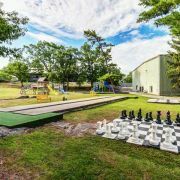 Learn some frisbee golf on our own private course located at the North side of the property. 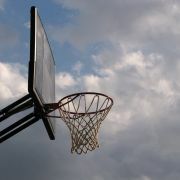 Or challange someone in a round of shuffleboard and horseshoes at our playground. 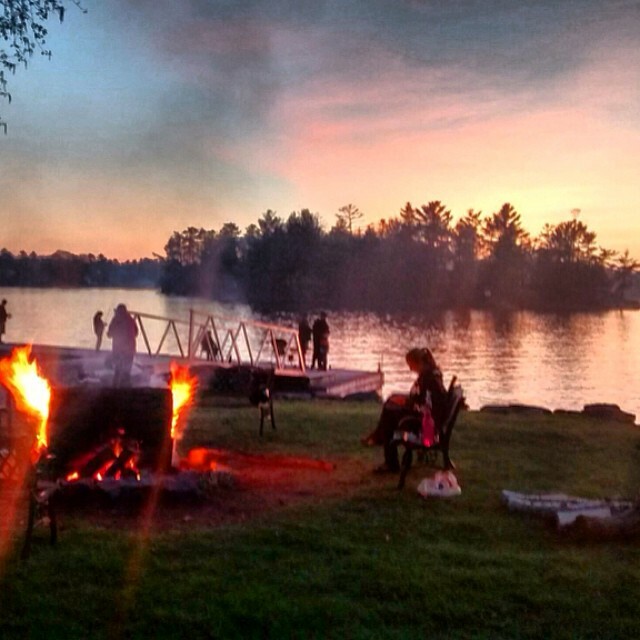 Finish your relaxing day beside a warm and cozy campfire, with locations throughout the property, or at your own private cottage rental. Guest Services is located at the west beach on the west side of the resort property by the docks, restaurant, and swimming pool. 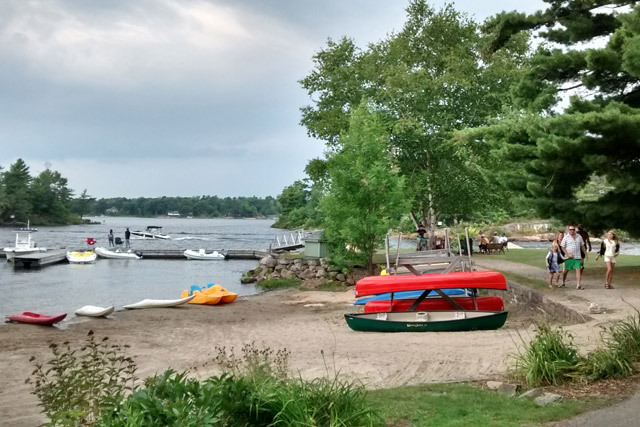 Here guests can sign out canoes, kayaks, and paddleboats during regular Guest Services hours. Guests under the age of 16 must be accommpanied and supervised in any watercraft. 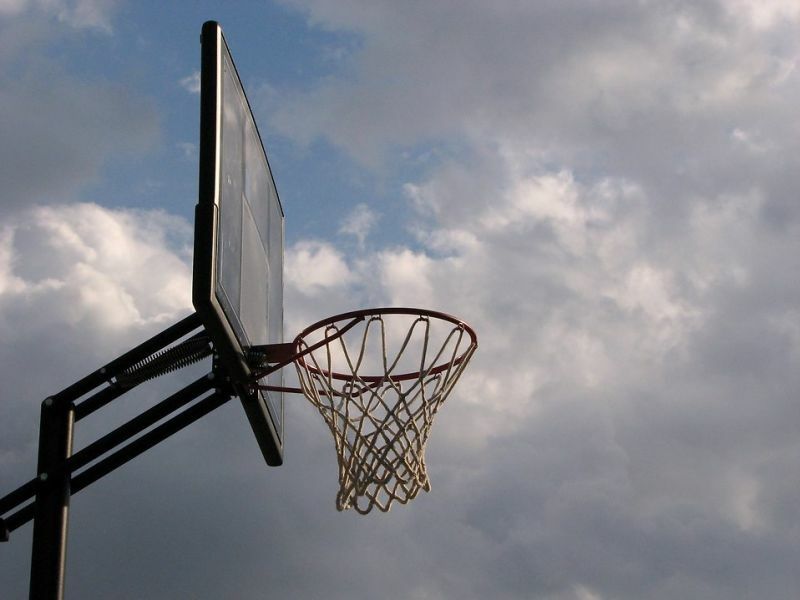 Other recreational equipment such as as Tennis Rackets, Bikes, Balls, and more are also available here. Guest Services hours may vary; please inquire upon check-in. Guest Services hours are weather permitting. 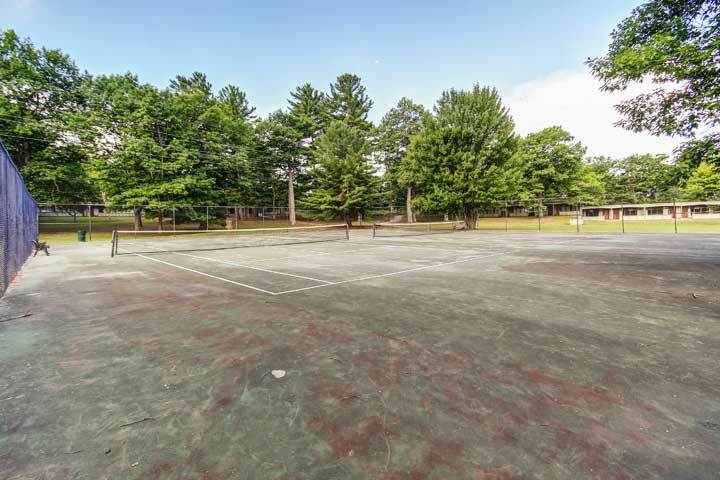 There are two tennis courts located on the north side of our property. Tennis rackets and balls can be signed out at Guest Services. Please see Guest Services hours listed above. We offer bikes for our guests to sign-out throughout the year. Please note our bikes are well used. Our bikes are available on a first-come, first-served basis. Bikes can be signed out at Guest services. 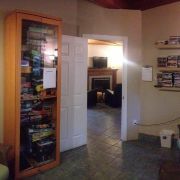 In the community area of Reception guests can find an ample supply of both DVD's and Board Games. Guests may sign these out free of charge, but we do ask that they are returned in the same condition they were signed-out in. 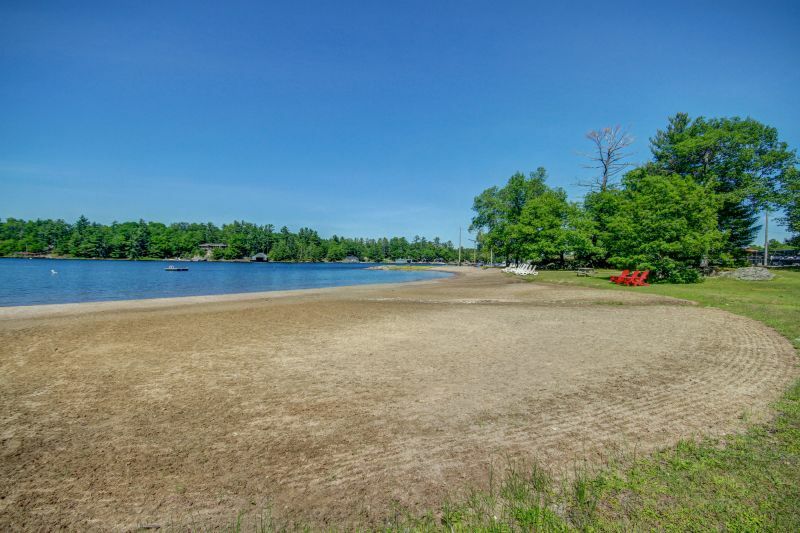 Our North Beach is located on the north side of the resort property. It is a well-maintained sandy beach, excellent for swimming or lounging in the sun. There is a floating dock for guests to swim out to. Guests under the age of 16 must be accommpanied and supervised at the beach and on the waterfront equipment at all times. 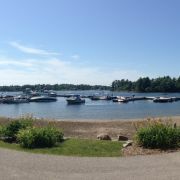 Our docks accommodate both our resort guests as well as visitors to the resort restaurant. 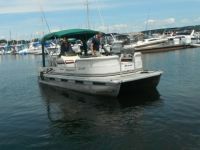 We have many slips available for boats of many sizes; please enquire about rates and availability. Our docks also offer a great fishing opportunity. We've had many guests catch a variety of fish of all different sizes right off the docks. We have a large children's playground at the resort that kid's of all ages can enjoy playing on. The playgrounds consist of both plastic and wooden equipment. 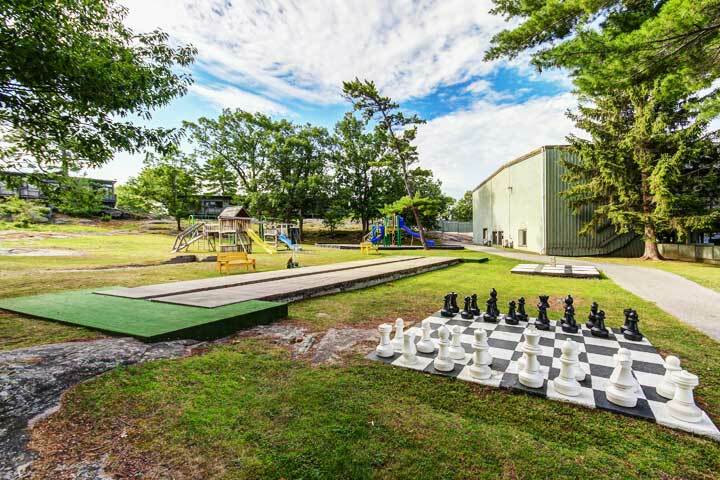 Swingsets and slides are included in the playground equipment, as well as Horseshoes, Shuffleboard, and an outdoor chess set. 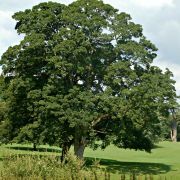 On the South East side of the property is a large grass field that is great for recreational use. This field is great for playing frisbee, catch, croquet, or any other type of outdoor field activity. 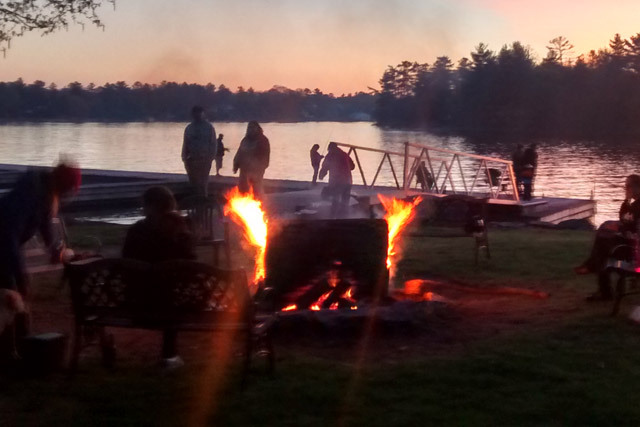 We have 3 community firepits with seating located throughout the property that are available for guest use. Guests must provide their own firewood. 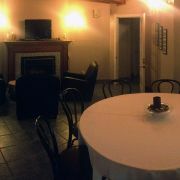 There are several community rooms located in the Reception building at the Resort, with one larger main lounge room that can seat a maximum of 10. These rooms include chairs and tables. 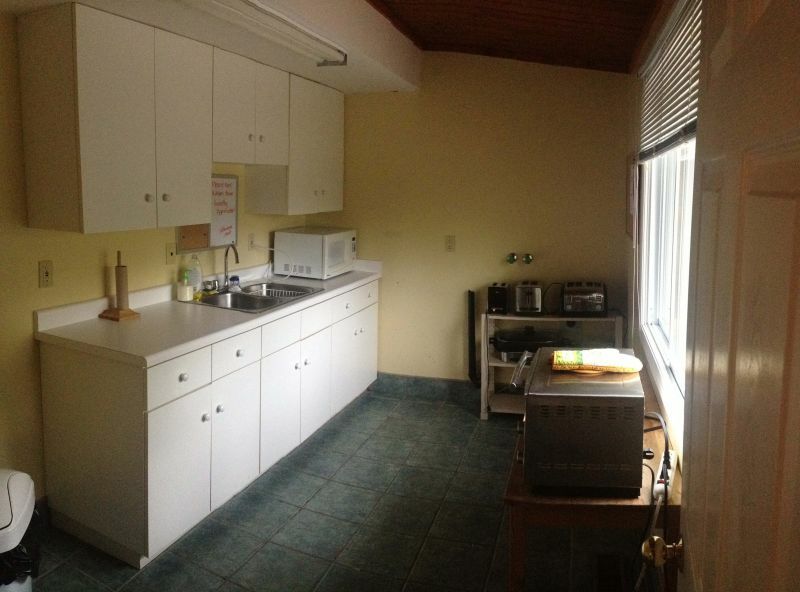 There are several community kitchens located in the Reception building at the resort. Some of the equipment that can be found in these kitchens includes: sink, microwave, counter-top convection oven, counter-top cooking elements, griddle, toaster, cofee-maker, pots, pans, dishes, can-opener, and other kitchen utensils. 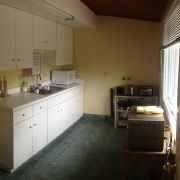 All kitchen equipment must stay in the community kitchens. 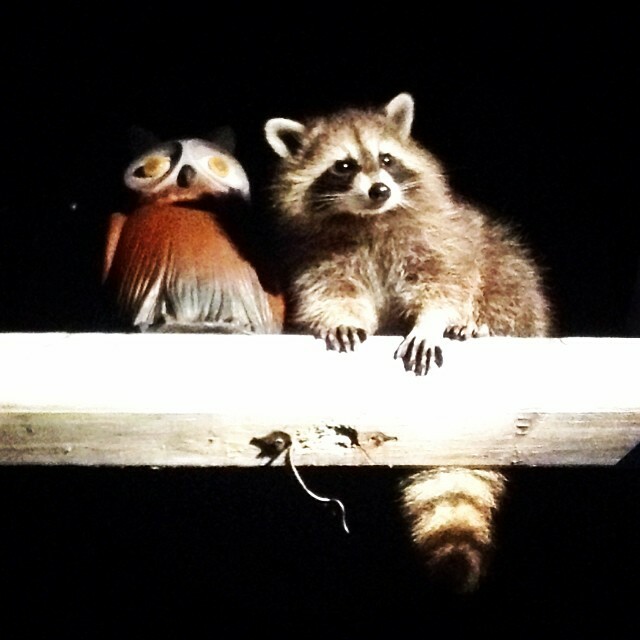 The Wye Marsh Wildlife Centre is a wetland located in Midland, Ontario. 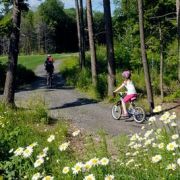 The Wye Marsh offers eco-guided tours, field trips and education, mountain biking, hiking, and group tours. 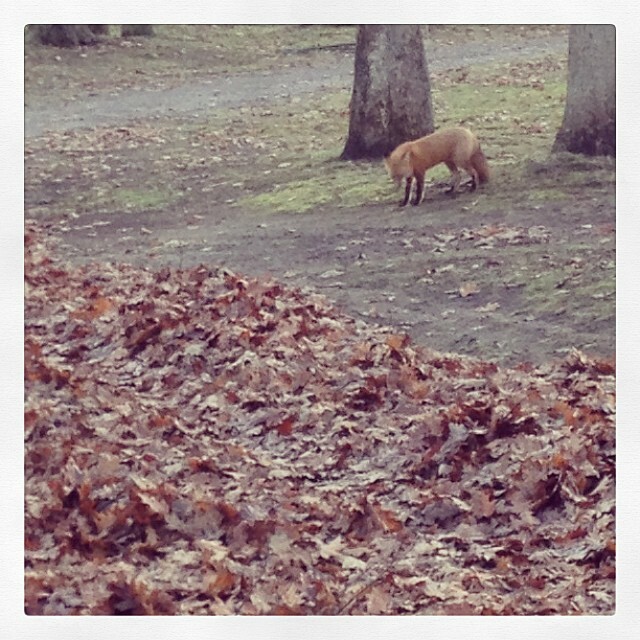 Enjoy the fall colours as you learn about Ontario's wetlands. Located only 30 minutes from the Delawana Resort. Georgian Bay Islands National Park is located just off the shores from Honey Harbour and Midland. Beausoleil Island is the largest of a cluster of 59 islands that make up the Georgian Bay Islands National Park. Bicycle rentals are also available for visitors of the park. 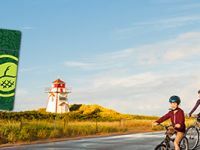 Enjoy the beautiful Georgian Bay landscape and fall colours of the season while taking advantage of the natural landscape of the park. 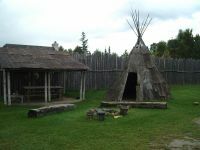 Discover the fascinating world of the Huron People prior to the arrival of the Europeans in Canada's first recreated Huron Village. 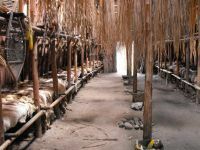 Dynamic programs in the Village emphasize energetic activities which examine Huron agriculture, government, lifestyle, recreation, spirituality, and technology. Then explore Huronia Museum's Native, Pioneer and Art exhibits which celebrate Ontario's heritage. A professional teaching staff provides exciting year-round programming for all learners. This church was built in 1926 and stands as a testimony to the faith of the Jesuit missionaries who labored among the Huron Indians (1625-1650). The Martyrs' Shrine is open during the Spring, Summer, and Fall for tours and visitors. 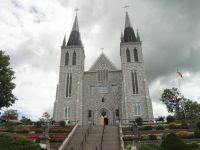 Across from Martyrs’ Shrine, the Sainte-Marie among the Hurons was established in 1639 as the headquarters of the French Jesuit mission to the Hurons and was the first European community in Ontario. Visitors to Sainte-Marie can take part in daily programming and activities of the historical European and Native culture. Take a scenic tour with the Midland Boat Cruise Tours through Georgian Bay and Muskoka landscapes. 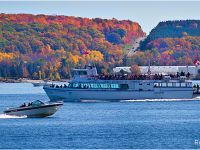 Tours include Miss Midland, Penetanguishene Boat Cruise, Port Severn Boat Cruise. Fall colour tours available. Big Chute Marine Railway is a short drive from Coldwater. It is the only marine railway of its kind in North America. 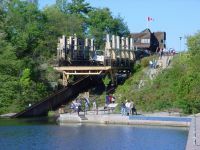 Big Chute has large grounds for picnicking and boater camping.This engineering marvel literally transports boats in a giant carriage up and over a 19 meter height of land between Gloucester Pool and the Upper Severn River. The marine railway has been in operation since 1917 and was renovated in 1978 to allow the movement of vessels up to 30 meters long. 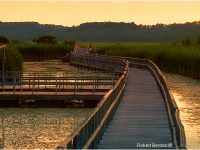 Johnston's Cranberry Marsh in Bala is a full year tourist destination. Drop by anytime to taste their wines and see what's new in The Cranberry Store. 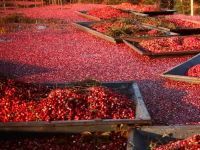 While you're there, think about hiking on one of The Cranberry Trails to see what the cranberry farm looks like. There is no charge for using the trails. The harvest fun peaks with the Bala Cranberry Festival in the fall. Don't miss out on the festival and activities during this time! 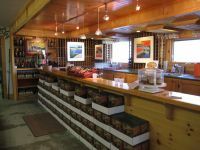 Muskoka Lakes Winery was launched with the 2000 vintage of Cranberry Wine. 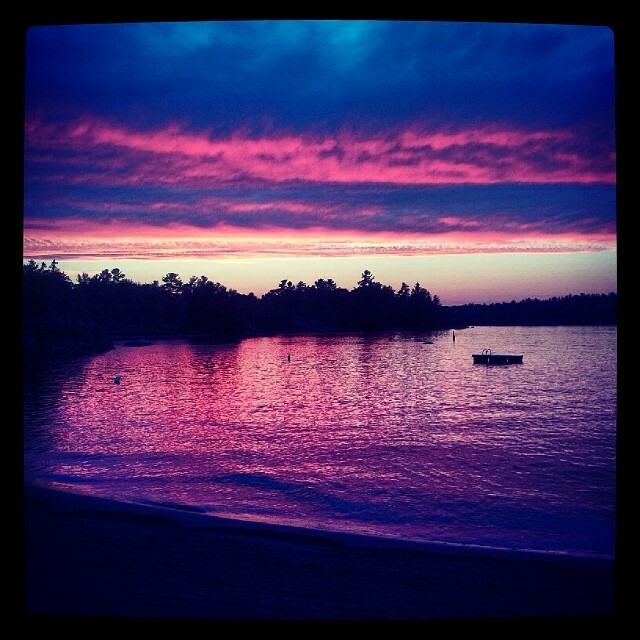 When the winery was started their goal was to make wines that reflected the beautiful, rugged place of Muskoka. Wines are made to reflect Muskoka inside and out, even the labels were created by a local artist to refelct scenes of the area. 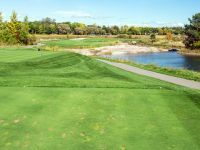 Oak Bay Golf & Country Club was completed in the fall of 2010, and is the newest 18-hole Muskoka golf course on the eastern shore of breathtaking Georgian Bay. 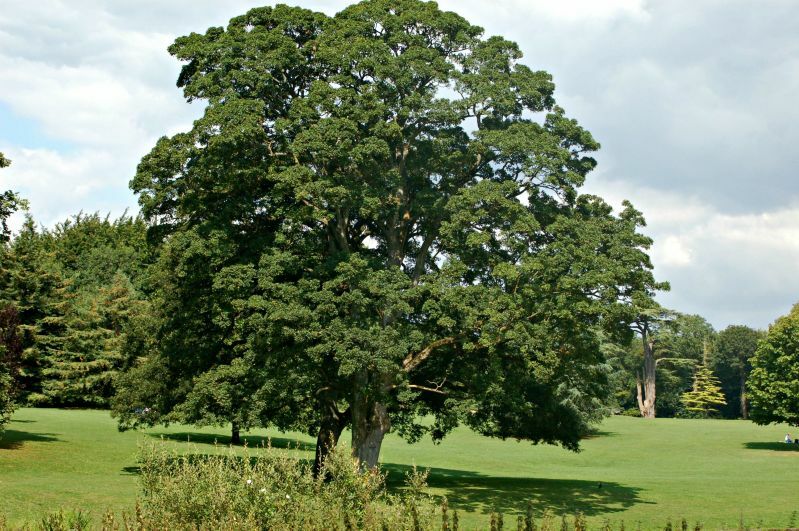 The golf course is carved into the natural woodland setting, creating a challenging and enjoyable golf experience. Enjoy the fall season and colours while practicing your swing. 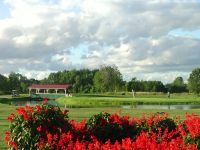 Bonaire Golf Course offers 27 holes of well manicured golfscape and true playable greens. Golfing at Bonaire feels like playing in a protected park. Bonaire is renowed for its quality greens and interesting layouts that create a challenge for all levels of golf. Enjoy the colours of the fall season while playing a round of golf. 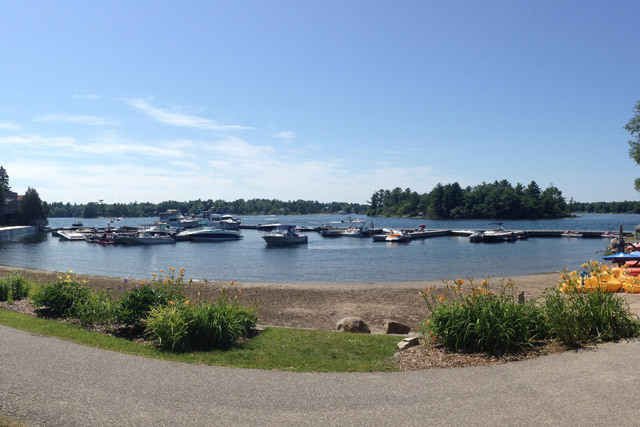 Located at Hindson Marina in Penetanguishene on beautiful Georgian Bay, Diverse Rentals is available for pick up or delivery of your desired boat rental. 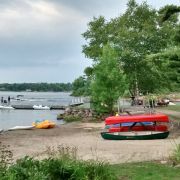 Offering temporary boating license and instruction, as well as other water toy or watercraft rentals for your next adventure on Georgian Bay. Georgian Bay Musky Charters offers the most educational, fun, and professional musky guide service on Georgian Bay. 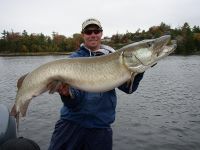 Specializing in advanced techniques for big musky, and known for the top musky guide service on Georgian Bay. Highview Farms is located just off of highway 400 and is only 15 minutes from the Delawana Resort. 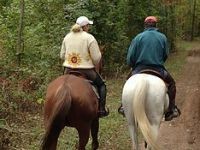 Enjoy a sound sensible horse on a relaxed scenic trail with your personal experienced trail guide. 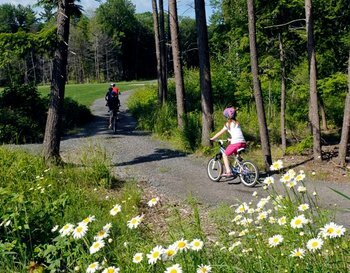 Highview Farms offers trail rides, riding camps, and lessons to all ages.